Powerpoint Presentation:Wind energy facilities and bat fatalities. Paul Cryan has links to animated distribution maps of Lasiurus cinereus and Lasionycteris noctivagans.Specific details of these maps were published in the Journal of Mammalogy. 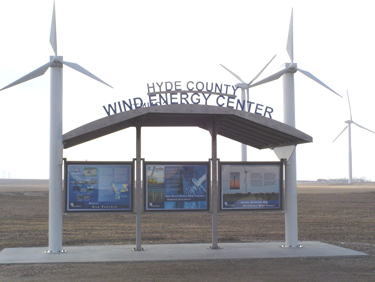 January 2009 Wind-Power Siting Guidlinesrelevant to South Dakota were adapted from the National Wind Coordinating Committee’s (NWCC) Permitting of Wind Energy Facilities. South Dakota Game, Fish and Parks worked cooperatively with the South Dakota Bat Working Group to develop the Siting Guidelines for Wind Power Projects in South Dakota after recognizing the importance of conserving bats as well as birds in South Dakota. Bats and birds play important ecological and economic roles in many ecosystems, and we feel this is a way to help protect these species. The Public Utilities Commission has agreed to distribute these guidelines to developers and other stakeholders involved with wind power development in South Dakota. By providing these guidelines to all stakeholders involved with wind power projects in South Dakota, we hope to guide these groups with siting wind turbines in areas with minimal impact to wildlife and native habitats. Attached are the Siting Guidelines for Wind Power Projects in South Dakota along with the associated figure and tables. 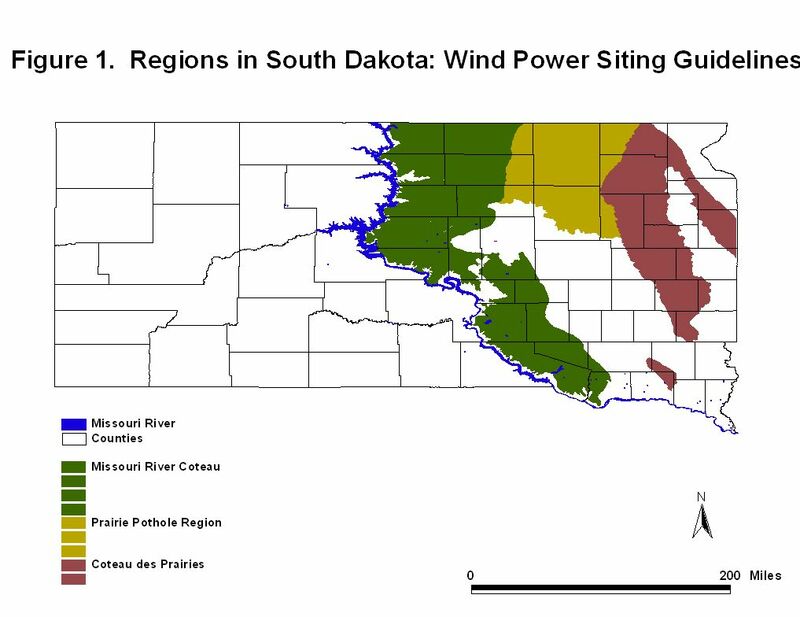 The guidelines discuss activities and concerns associated with wind power siting in South Dakota, the figure shows areas in South Dakota that are unique/rare, and the tables list various individuals, agencies, and groups to possibly contact. 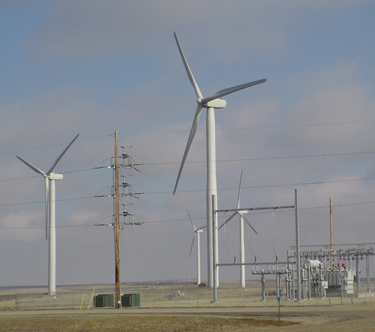 LEFT: Photos of the wind farm south of Highmore, SD. This wind farm is operated by FPL Energy and is comprised of 27 turbines built across approximately 2500 acres of private property. 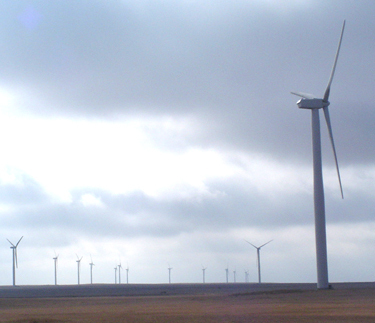 Each turbine produces up to 1.5 MW of energy; the entire farm can produce approximately 40 MW of energy.